Do you want to do more in life, but feel trapped by a lack of confidence? Or do you just wish you could believe more in yourself, your abilities, and the opportunities that could be open to you? If so, I get it. When I was younger I was painfully shy and lacking in self-confidence – so shy in fact that I couldn’t bring myself to press the ‘stop’ button on a bus for fear of people looking at me. All that’s changed now. Today I happily appear live on national TV, speak to hundreds of people on stage at events, and often put myself forward for opportunities well outside my comfort zone. Over the years I learned psychological techniques that helped me overcome my lack of confidence, and lived a life that enabled me to become more brave. I also qualified as a psychotherapist, hypnotherapist and NLP Practitioner to better understand how our minds work, and how we can become a better version of ourselves. And now I want to share what I have learned with you, to teach you how to build up your confidence too. 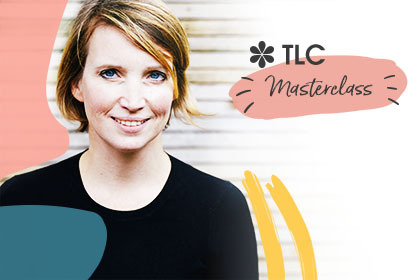 In a live masterclass this month, I will teach you strategies to help you live a more confident life – and to feel more able to go for the opportunities you want, without being limited by issues like imposter syndrome. You’ll walk away from this class with practical strategies you can start using straight away to begin to change the way you feel – and act. So you can start living a more liberated life, free to pursue the opportunities you want with confidence. Are you ready to start feeling – and acting – more confident? This live class will take place at 10 am UK time on Thursday 28 February 2019. At the end of the class you’ll have the opportunity to ask your teacher, Hannah Martin, questions. Secure your place now for £30 and we’ll send you an email with a link to join.